Not one of the good guys. 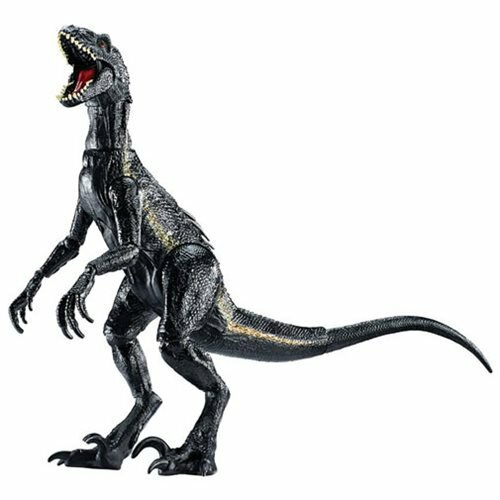 Get ready for thrilling action and adventure with Jurassic World! There’s a mysterious villain stalking the parameters of the jungle and he’s after anything or anyone that moves! 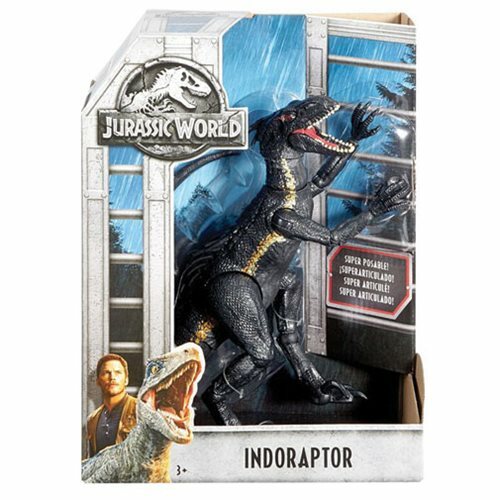 Straight from the film, the Indoraptor wreaks havoc and fear with his mere presence. 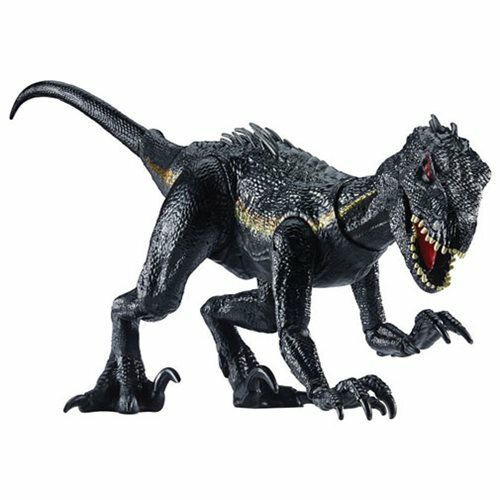 His ominous features include slick black scales, long arms with dagger-like claws and extra articulation that he will use to catch anyone that crosses him. 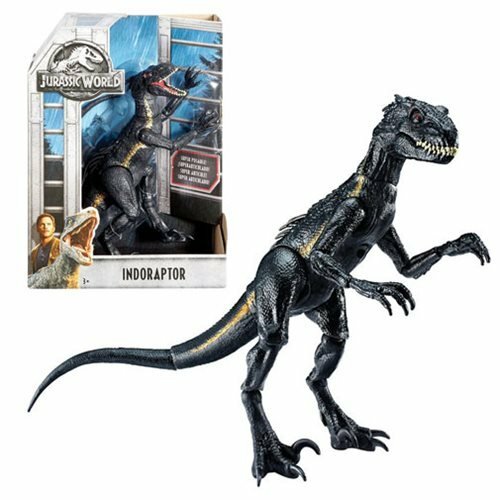 Act out ferocious battle scenes with the Indoraptor and relive all the exciting adventure of the movie! Ages 3 and up.